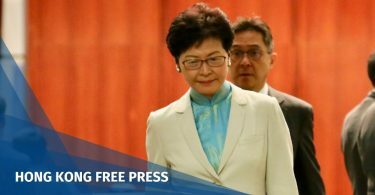 Chief Executive Carrie Lam has defended her Lantau artificial island plan as a necessary project for Hong Kong’s future. The “Tomorrow Lantau” project, which may cost more than HK$500 billion, involves reclaiming 1,700 hectares of land around the waters off Lantau. It could accommodate up to 1.1 million people. 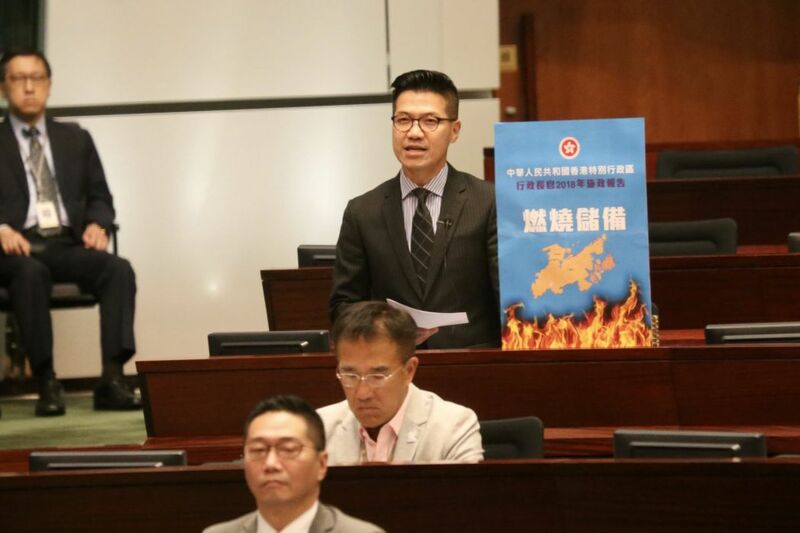 At a Q&A session on Thursday, Neo Democrats lawmaker Gary Fan said the plan could burn through Hong Kong’s reserves. He said the government should order a limit to housing flat purchases and take back the power to control one-way permit holders from entering Hong Kong from the mainland. Lam, in response, mentioned the Rose Garden Project which was announced in 1989. It involved building the new airport on Lantau Island, the airport rail system, Western Harbour Crossing and other relevant construction projects. The project cost HK$155.3 billion. Lam said her Lantau plan will provide land for the next 20 to 30 years of development. She said residential units may only be available by 2032 on the artificial islands. 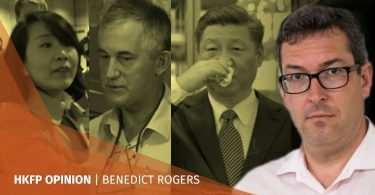 She said the HK$500 billion being quoted by local media was only a rumour and the figure has yet to be confirmed by the government. 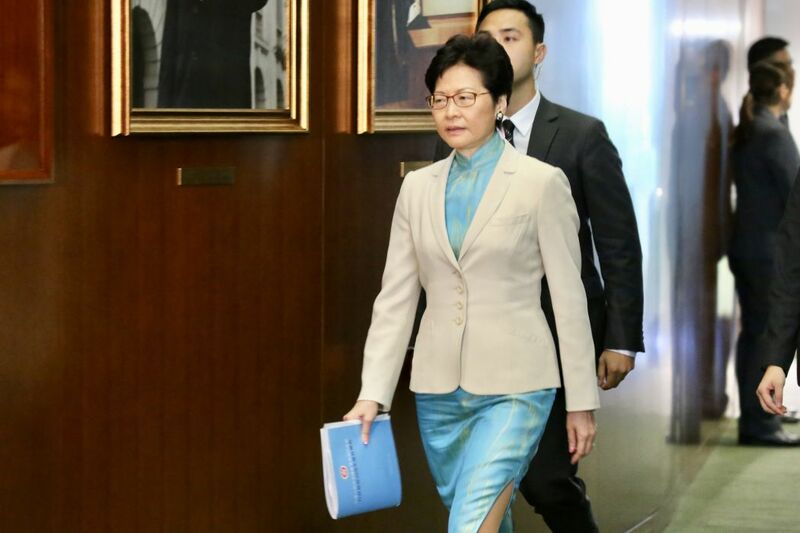 “Such a large investment will not be spent in just a year… it will be a project of up to 13, 14 or 15 years,” she said, adding that the government spends more than HK$100 billion on infrastructure every year. Lam also said she did not agree that the housing issue was related to population policy, saying that one-way permit holders come to Hong Kong to reunite with families. Fan criticised the ratings Lam’s policy address received, which were much lower than last year’s. Lam said in response that it was expected, as more ambitious plans would attract opposition. 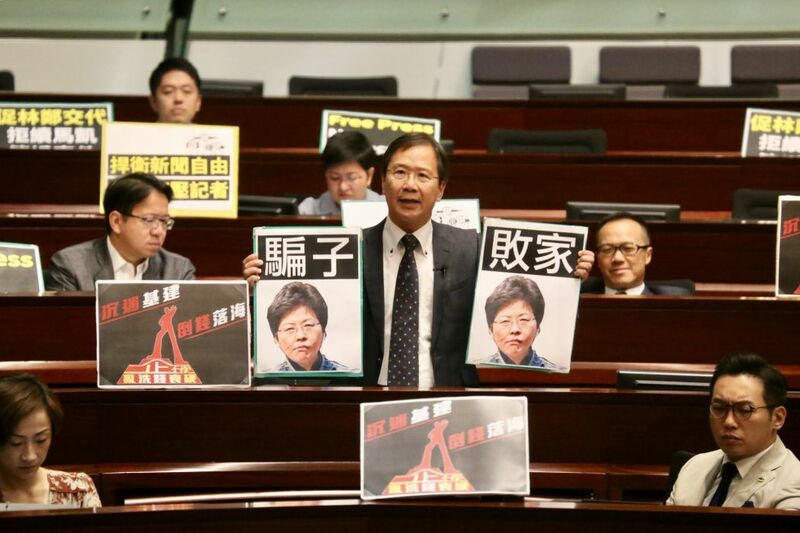 Civic Party lawmaker Kwok Ka-ki said that Lam has refused to use the 170 hectares of land which is currently Fanling Golf Course, the 1,000 hectares of farmland owned by developers, the 700 hectares of brownfield sites, and the 2,000 hectares of unoccupied government land which remains available. Lam said the options mentioned by Kwok remained under study by the government, but there have been difficulties. For instance, Lam said, the government has yet to take any control of any brownfield sites for the North East New Territories development plan launched a decade ago. Kwok then asked Lam if the Lantau proposal was designed for “New Hongkongers” – a term often used to refer to new immigrants from mainland China. “Everything we do is for Hong Kong people,” Lam said, adding that Kwok supported the plan to move the city’s airport to Lantau and reclaim land for development.